Maceo Montoya. The Deportation of Wopper Barraza. Albuquerque: The University of New Mexico Press, 2014. After getting his fourth DWI, Wopper is ordered deported to Mexico, the country he left at three. The first days in Michoacán he cries. But soon he’s up before sunrise and ready to work the land. His body changes. He loses a lot of weight. The nickname gets dropped; people can’t pronounce it and it doesn’t mean anything to them. He becomes Roberto Barraza. When they sleep together for the first time, Mija says “Roberto” in a way that makes Wopper wish for everyone to have his name said like that. Mija knows her way around local politics; Wopper becomes a municipal representative, gets acquainted with government contractors, and starts rising quickly. Word gets around that he went to college and now he is Licenciado Roberto Barraza. People respect him and seek him out. He and Mija have plans. No one is more interested in what deportation can mean to Wopper than his former counselor at the community college. Arnie Beas spends his days trying to motivate his students, and he can’t. These are students who—like Wopper, and also Arnie—come from immigrant families. They used to be engaged, but no more. He knows they don’t want to be sitting in his office, and yet they don’t know what else to do, so there they are. Arnie sees them grow “slowly anesthetized” and incapable of understanding even the “concept of envisioning a future.” And Arnie can’t help contrasting these students with their parents. The parents left everything behind for “an imagined future”; they dreamed big and travelled far; they were looking for “a better life.” Their U.S.-raised children—the students sitting across Arnie’s desk, the students like Wopper before deportation—can’t see “past Woodland”; that’s all there is for them. Back home parents had the north to look at—that gave them purpose. Their children have nowhere to go; they are stuck. 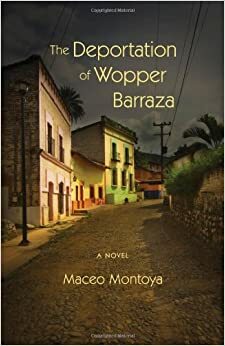 Leaving may not have been his choice, but Wopper seems to find in Michoacán what his parents found in California—a new beginning, a wake-up call, a sense of his life. Whether Wopper himself sees any of this is unclear. The novel is written from the perspective of every character but his. His silence gives way to everyone’s attempt to figure him out, and no one pushes further than Arnie. Wopper is mostly silent; Arnie has lots to say. He has written a thesis on the Latino education crisis, and from his perspective Wopper is a case. Can hope be passed down from one generation to another? Can education do for U.S.-raised children what migration did for their parents? Is packing up and leaving again the only way out? These are the questions that keep Arnie up late at night, and he believes and makes us believe that Wopper’s story may hold the answers. Wopper would probably shrug. Nicolás Eilbaum es sociólogo de la Universidad de Buenos Aires y Cornell University. Ha estado enseñandopor varios años en Duke University, y desde el año que viene empezará a dar clases en Centre College. Enseña e investiga sobre la vida de los inmigrantes latinoamericanos en Estados Unidos. Esta es su primera reseña para El Rommate.